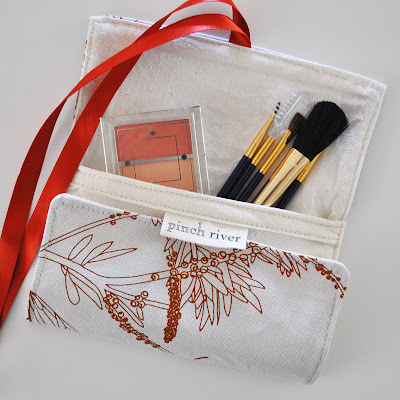 Pinch River - hand printed eco textiles and more...: New product + Pinch River on Etsy. Hello! I'm popping by with a little update as things are starting to come together now after the name change and Pinch River is gaining momentum after all my hard work over the past few weeks. Firstly, my new swing tags arrived this morning - yay! (top image). They are double-sided and printed on 100% FSC recycled card stock. 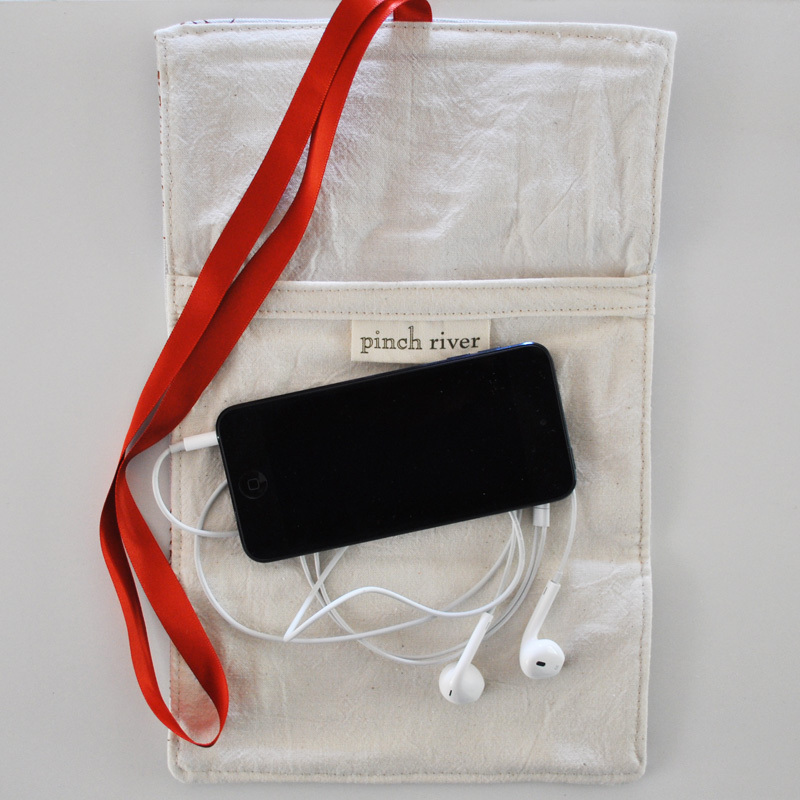 More importantly, I have decided to resurrect my Etsy shop (with a name change to Pinch River as well). 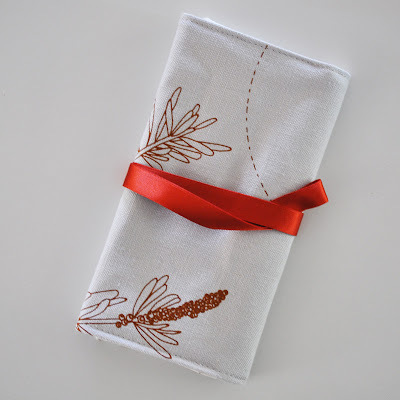 I have updated it all and will be stocking it with lovely little products for the lead up to the holidays. 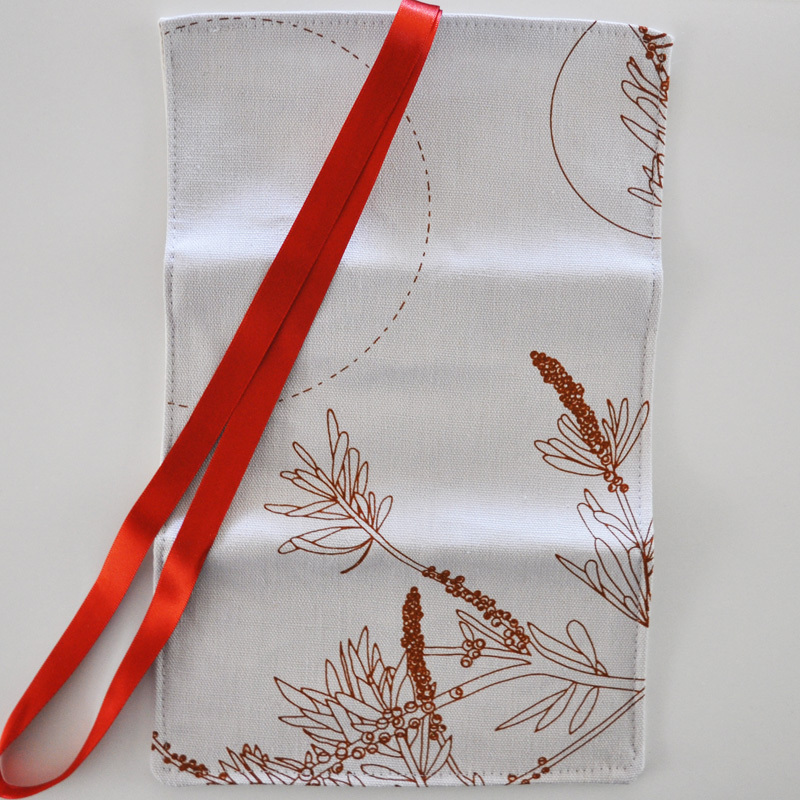 The products are great for gifts and stocking-fillers and the first batch of eco-friendly goodies to be stocked in the shop is a new product for you - the pouch (above). As you can see they are great for your iPod, for make-up and other little treasures. There's plenty of designs available so head on over and check them out for yourself.